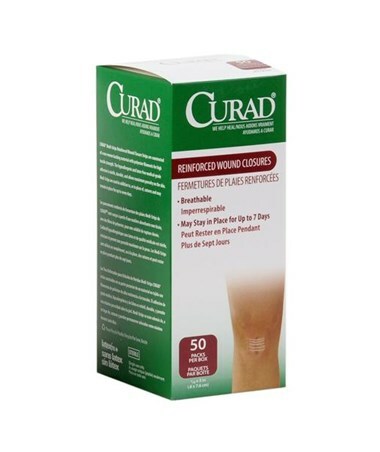 Curad Sterile Medi-Strips are constructed of a non-woven fiber backing with polyester filaments for high tensile strength. 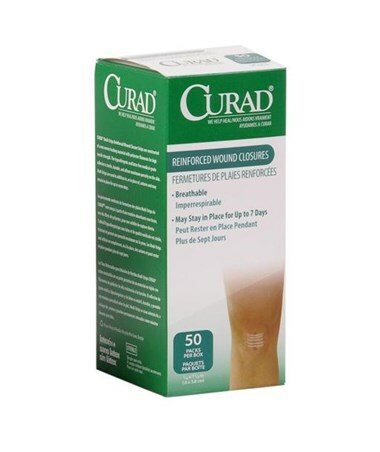 The hypoallergenic and latex-free medical-grade adhesive is sterile, durable, and allows maximum porosity on the skin. 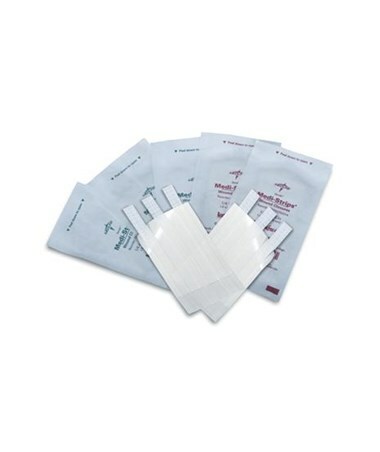 Medi-Strips are used in addition to, or in place of, sutures and may remain in place for up to seven days. 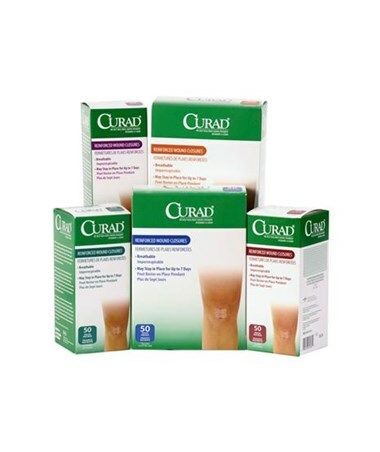 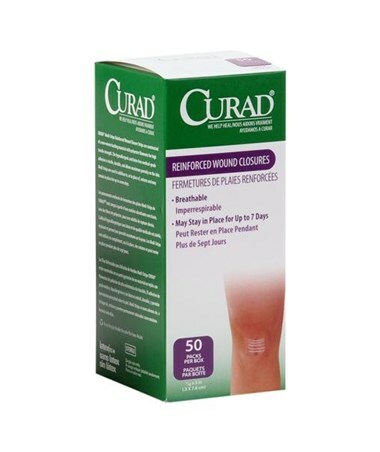 We offer Curad's Sterile Medi-Strips in four sizes and in three quantities (options vary for each product). 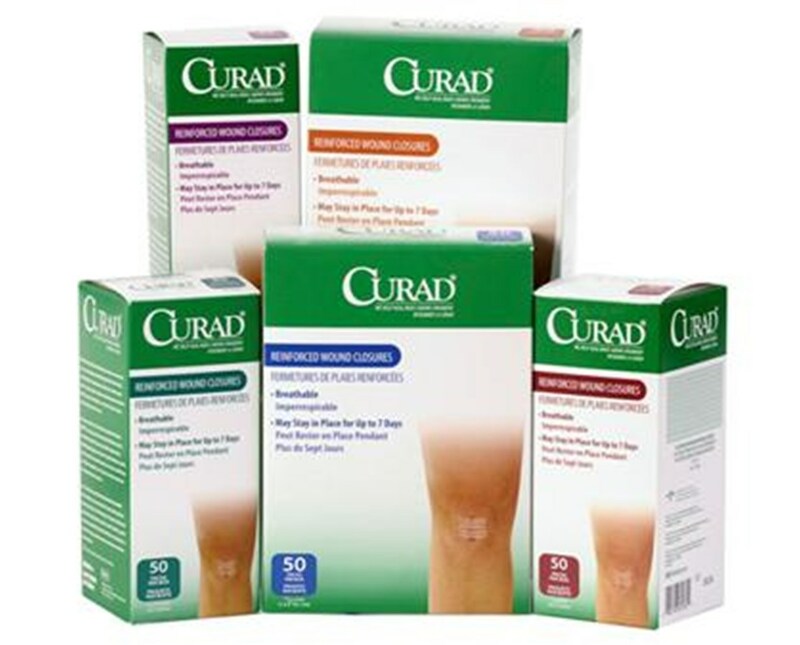 Select from the drop down menu above and order online direct by clicking "add to cart!" 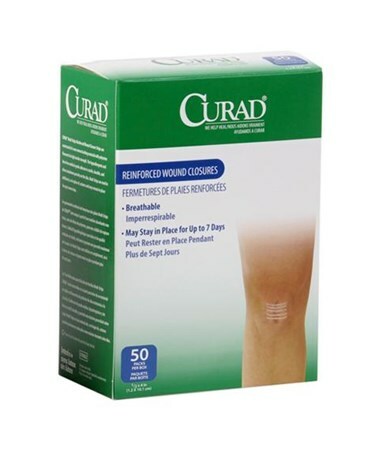 Sizes: 1.5" x .25", 3" x .125", 3" x .25", 4" x .5"